Minister for Local Govern­ment, Housing and Envi­ronment Parveen Bala is closely working with city and town councils in the Western Division to get their towns cleaned and opera­tional by today. “I have told all the councils to have their towns clean and tidy by tomorrow (today). With the assis­tance of the National Fire Author­ity (NFA) our priority is to clean the Central Business District areas (CBD) and the market to get their towns up and running by tomor­row,” Mr Bala said. 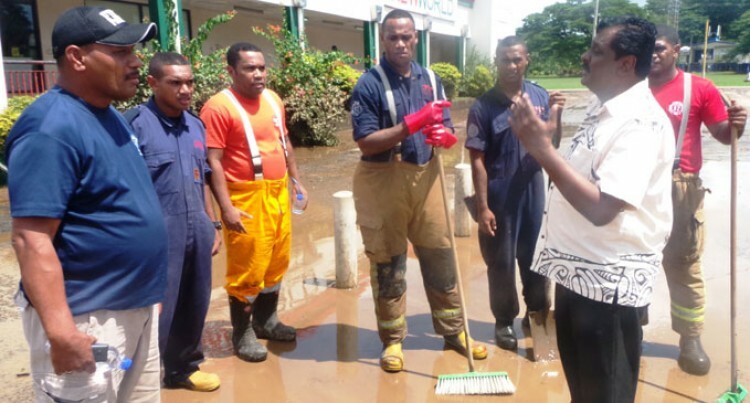 They had been working with the various councils, National Fire Authority (NFA) personnel, offic­ers from the Fiji Police Force and soldiers and officers from the the Republic of Fiji Military Forces (RFMF) in their clean-up campaign. “The worst affected is Ba. I have been told that Nadi, Lautoka and Tavua have managed and Rakiraki is all good. It is just Ba that is left,” Mr Bala said. He said it was too early to deter­mine the total cost of damage that Ba alone sustained during the weekend flooding. “ … we need to visit all the places and all the corners in order to give an estimate, but at the moment no, but in terms of damage yes this is the worst,” Mr Bala said. Mr Bala said people did not even have time to collect their valuable belongings because of the rapid rise in floodwaters. In addition, Ba town and residen­tial areas faced power and water cuts, making the clean-up process more challenging. However, Mr Bala said they would work tirelessly round the clock to get the towns ready for business as soon as possible.